Flexible keyboard and keypad that you can use on the front of the electronic devices and machines. Our designs are realized in the electronic structure in love on Corel Draw. You can provide us the Pantone Color reference or send a sample to us. We are helping you out to make a faster production. We provide the assembly stencils for our costumers. SMT-SMD stencils can be provided with in 48 hours. 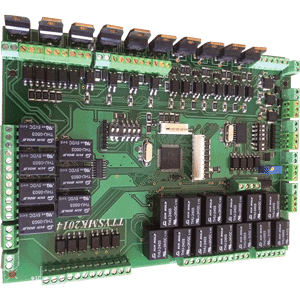 According to valuable costumers requests we are providing electronic printed circuit boards PCB – design and assembly. We are providing a professional service and try to supports costumers production line. Our company was started in 1995 to serve our valuable customers. It has lead to the rapid development of the electrical and electronic sector has started to work to meet the demand for electronic printed circuit board. Asik Elektronik starting in by serving the domestic market in the electronics industry electronics, it is its ability to supply the double-sided plated through-hole electronic board continues to serve you. You considering the use of our valuable customers as a percentage distribution of the types of pcb which Asik Elektronik provide the service printed circuit board – PCB production. Facilitating Your Production Is Our Honour.